Thanksgiving is a holiday for family and friends to sit down around the table to enjoy feast of choice and count their blessings. The first Thanksgiving feast between the Pilgrims and Indians was a three-day celebration of a Great Harvest. Many American Families will partake in this annual feast first proclaimed by Abraham Lincoln as a National Holiday. America is blessed with hardworking farm families that provide a variety of abundant, inexpensive food. As Thanksgiving fast approaches, I hope you follow along as I share a glimpse from field to table on common food dishes served on Thanksgiving Day. I hope you see why we should be Food Thankful on Thanksgiving and every day. I think it is only fitting to start with desert first. After all my home state of Illinois-land of Corn and Soybeans-actually ranks #1 in Production. The pumpkin originated from Central America. In early Colonial times, the pumpkin was original used in the crust of pies and not the filling. Colonists actually cut off the top of pumpkins, removed the seeds and filled the inside with milk, spices, and honey. The pumpkin was then baked over hot ashes to create the original form of the pumpkin pie. 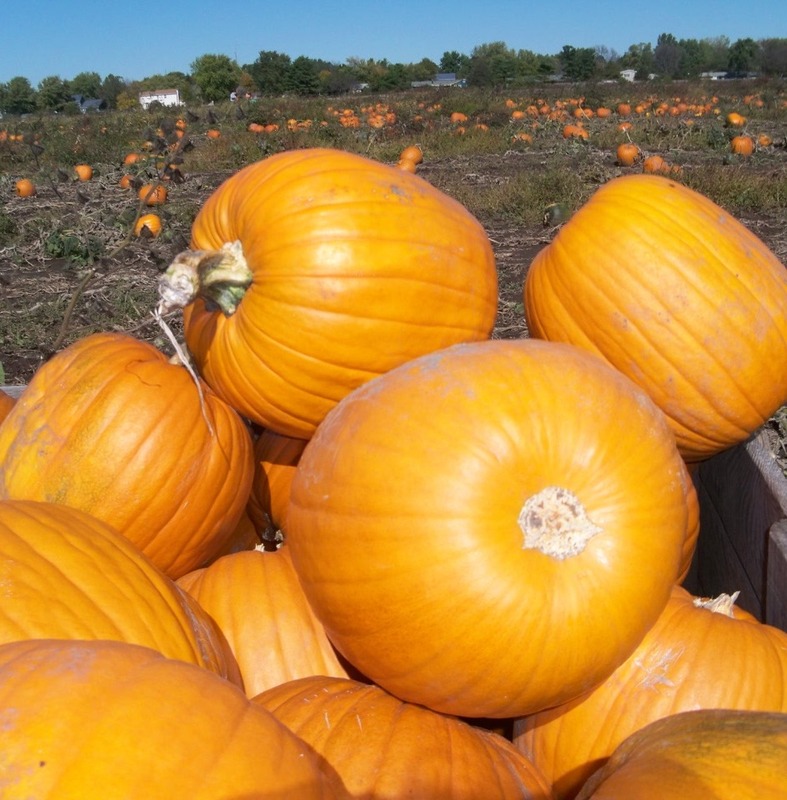 Today, pumpkins are mainly grown for processing with a small percentage grown for decoration. A total of 1.06 billion pounds of Pumpkins, valuing $117 million, were grown on 50,200 acres in the United States in 2010. Illinois leads the states in growing over 4 million pounds. Morton, Illinois has been crowned Pumpkin Capital of the World with 85% of the world’s pumpkins processed at the Libby’s Plant owned by Nestle Food Company. The pumpkin is actually a fruit that grows on vines. It is 90% water and packed full of potassium and Vitamin A. The seeds of the pumpkins are edible and usually are roasted for a tasty snack. Pumpkins are used to make soups, pies, and breads. Watch as they plant, grow, and harvest Pumpkins for Libby’s.